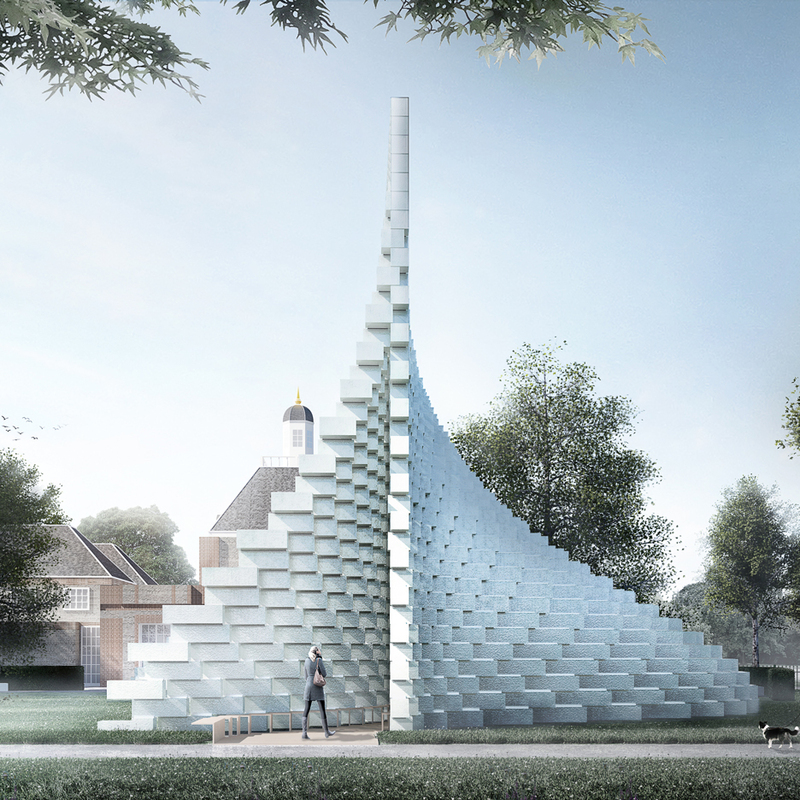 Dezeen will be reporting live from the unveiling of Bjarke Ingels' Serpentine Gallery Pavilion on Tuesday morning. Follow us on Facebook and Snapchat for exclusive video footage and images. Dezeen will be at the press preview of this year's Serpentine Gallery Pavilion, which opens to the public later this week. We'll be using Facebook and Snapchat to post exclusive footage and images of the structure, including our first foray into live video streaming on Facebook. Constructed from a series of fibreglass boxes stacked on top of each other, Ingels' pavilion is conceived as a wall of bricks that has been "unzipped" to create a three-dimensional space. To avoid missing any of our coverage from the opening, make sure you are following us on Facebook and Snapchat and tune in from 9am BST on Tuesday 7 June. Follow Dezeen on Facebook here. You can find Dezeen on Snapchat by searching for us by username or open the app and point your camera at our Snapcode (above), and then press and hold on the screen. Last year's Serpentine Gallery Pavilion was a colourful chrysalis of translucent plastic created by Spanish duo SelgasCano. Previous designers have included Peter Zumthor, Jean Nouvel, SANAA, Herzog & de Meuron and Sou Fujimoto.